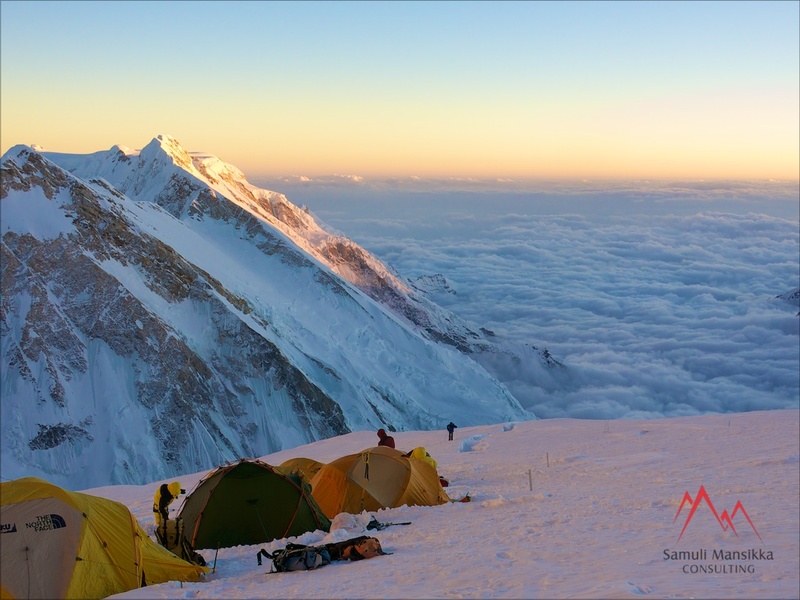 We have yesterday arrived at Kangchenjunga Basecamp at 5500 meters! And what a beautiful place it is! 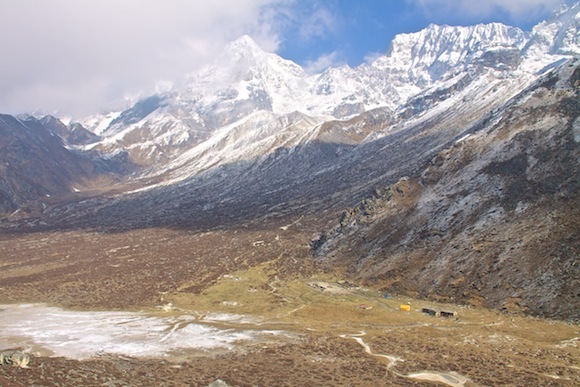 We are located high above Yalung glacier and we have mountains surrounding us in every direction! Unfortunately it appears, that not all of our stuff has yet arrived unlike we were promised by the chief porter. Porters here are simply reckless! Some people are missing oxygen bottles, gasoline has been stolen as well as high food. I’ve now spent 15 seasons in Nepal and it is the first time ever I see this happening! Na ramro! 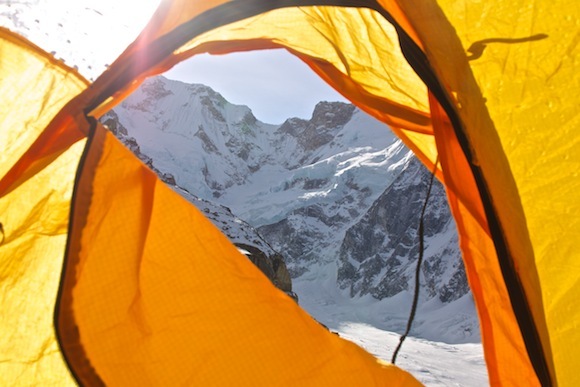 I am sharing basecamp with a lovely group of people! 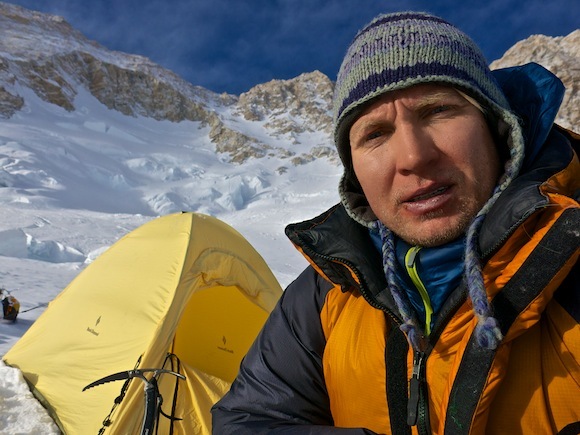 We are now five at our basecamp; three from Russia, Tusi from India and me. Also our basecamp crew is doing their best to make us feel comfortable and we have a pretty good setup here. 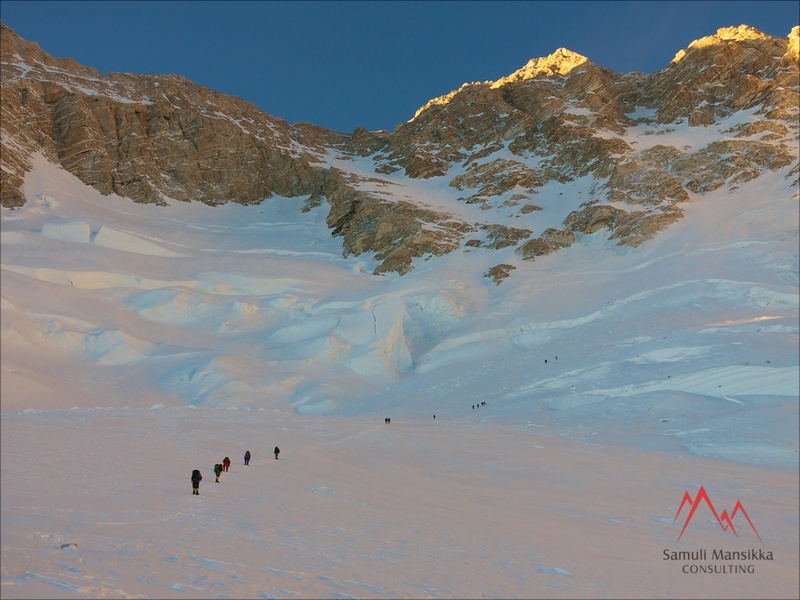 Many groups on Kangchenjunga this year! I first met the super-friendly guys of the Italian group. Also met the Koreans with whom I was in fact happy to find my basecamp-buddy Dipenkar (India) from a year ago on Makalu! 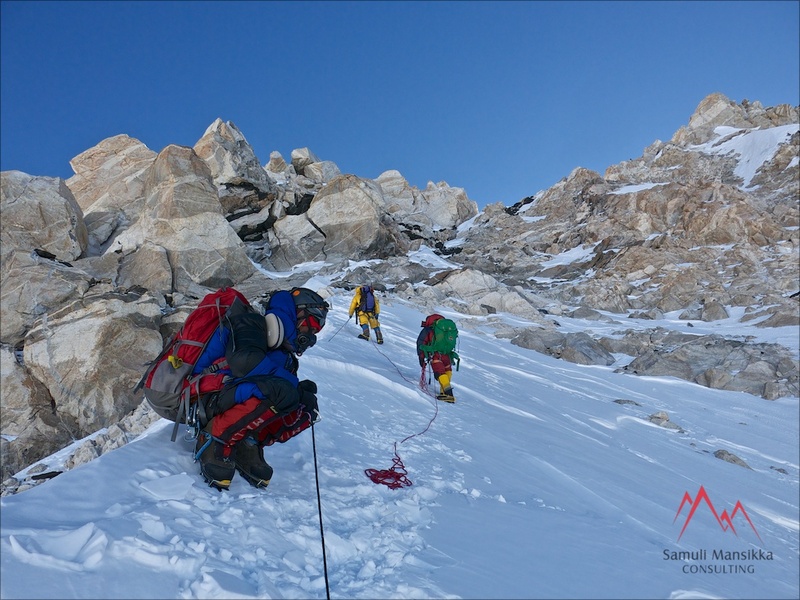 Many of the teams have strong sherpa-support and they already are scouting and fixing the route to Camp 2 (6350m). 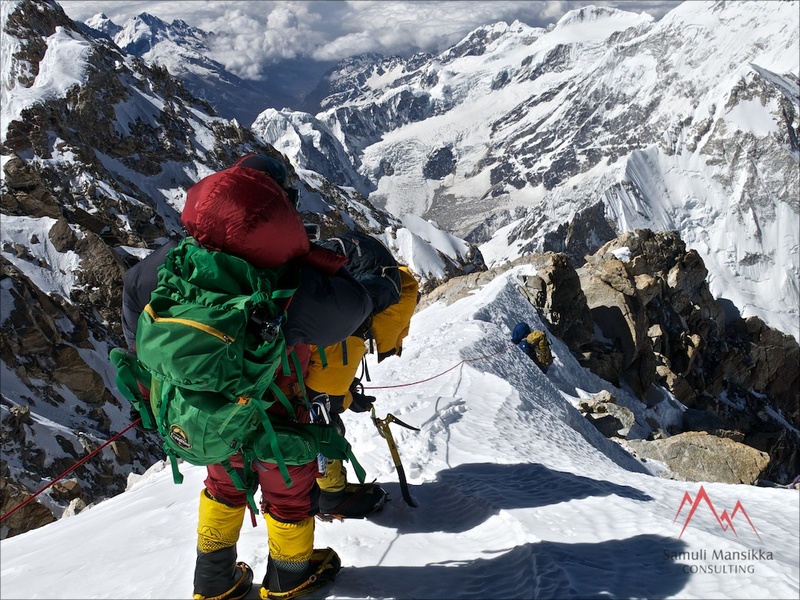 As I will be climbing the same route I can’t call this a solo-climb although I will be operating myself above Basecamp. I am now resting at BC for a couple days and probably staring my rotations on 22nd or 23rd. Follow me on Twitter for up-to-date news! Got here at Ramche (4500m.) yesterday and are now spending a leisurely rest/acclimatizing day. 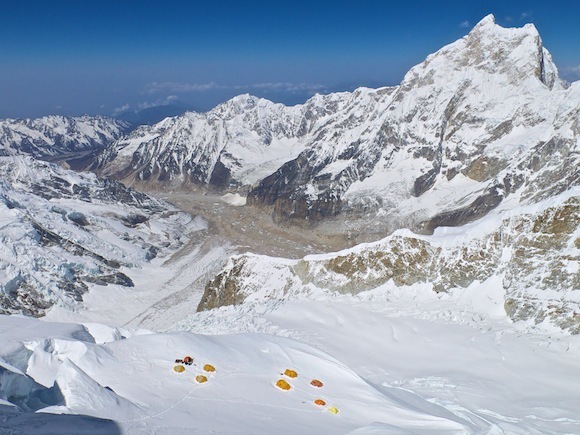 This is where we were supposed to meet our porters and all the gear but eventually were left with a note that they had already went on to Kangchenjunga Basecamp! Thus we ended up spending a night here at the most simple shack in fairly lightweight gear (read; no gear). Got through the night anyway! Can’t blame the boys for wanting to get the job done and go home! Been now just walking around the area and enjoying the views over Yalung Glacier. 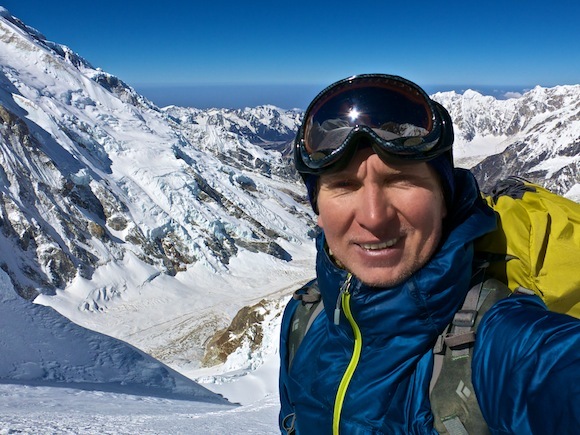 Also got splendid views over Kangchenjunga SW-face and almost all of the intended route. Spotted a group of blue sheep yesterday but no signs of snow-leopards so far. 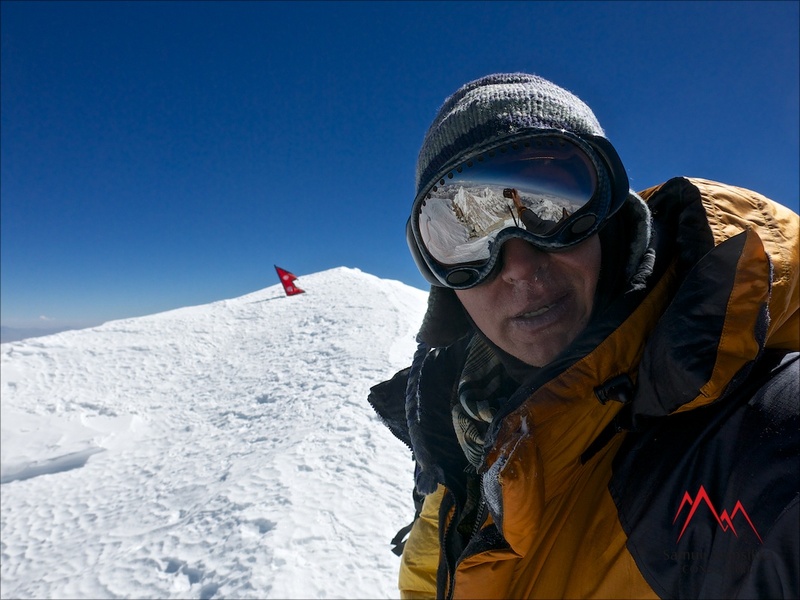 Tomorrow we’re moving on and doing all the remaining distance to basecamp. Appears that we’ll be there much sooner than anticipated! 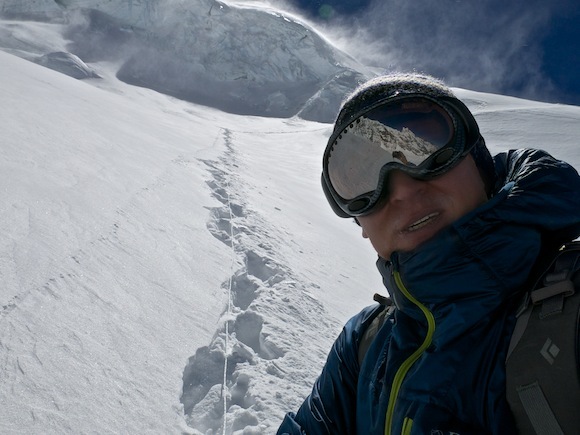 It’s been a terribly cold spring in the Himalayas and I am not expecting a very rapid start with my rotations.